We can’t talk about a great French coffee without talking a little about the Parisian coffee culture. The French enjoy coffee morning, noon and night. If you have been to a French café, then you know you must begin by saying “Bonjour” – always say hello! When you order your coffee (“Je voudrais un café, s’il vous plait”), dark, strong coffee will arrive in a tiny cup, perhaps with a few sugar cubes placed on the saucer; sometimes you may get a carafe of hot coffee and a pitcher of steamed milk. If it’s a hot summer day, order a café glacé (iced coffee) or a café faux (decaf). We also have a new roast from Carte Noire: Millicano Instant Sticks. The 100% Arabica coffee is one of our best instant coffees. This instant is made in a new way: Beans are finely ground and combined with freeze-dried instant coffee. This super-premium instant coffee has a rich and silky taste. This is an exciting development for instant coffee! Packaged in individual sticks, you can take them anywhere, anytime to enjoy a better cup of instant coffee. We have 25 sticks in a package for $5.99. You have to try this instant coffee! 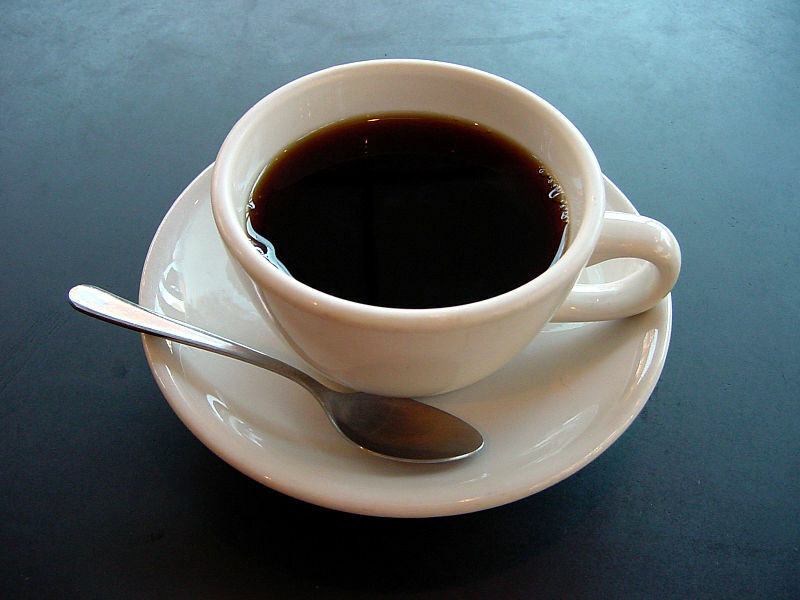 According to the National Coffee Association, 83% of U.S. adults drink coffee in one form or another. That number reflects an increase of 5% in consumption in these United States since last year’s study. Of those coffee drinkers, about one-third drink a specially prepared coffee drink (think lattes, cappuccinos, mochas). Their findings have been published in their 2013 National Coffee Drinking Trends, which has tracked annual coffee consumption trends of U.S. consumers for over 60 years. New York City is highly caffeinated (wouldn’t you know it), with households there spending about 3 times the national average on coffee. There are nearly 800 coffee spots in NYC, not including street vendors. Ownership of single-cup brewers is up to 12%. You can find out more about their findings here. It turns out that rain is continuing to fall over Brazil’s coffee belt, and this is predicted to induce blossoms for a second time this season. Because of the large amount of rain that fell in one week, flowers that blossomed the previous weekend remained while washing away any speculation of drought in the area. Coffee brokers in the area are excited by the prospect of rain subsiding followed by plenty of sunshine. This boom (or would that be bloom?) is even more surprising considering, per government estimates, this is a record-crop year already even as the trees enter the lower-yielding half of a two-year cycle. The 18th edition of the Tea & Coffee World Cup will take place in Warsaw, Poland in February 2014. Companies ranging from associations and organizations at coffee sources, to machinery manufacturers and packaging solutions travel from all over the world to be a part of this huge networking event. Coffee producers, exporters, roasters and coffee accessory makers will all be exhibited, while the tea professionals will include new teas and infusions, processing and packaging methods and many other products. A Cafetière is a simple way to brew freshly ground coffee and drink it in style – and La Cafetière is a company that specializes in this: from coffee (and tea) pots to kettles to French Presses and more! La Cafetière Lexi Bone China Cafetière keeps your coffee hot while you serve a tableful of guests! Tall and slender, it’s a designer exclusive. La Cafetière Midnight Star Cafetière has a glass vessel encased in a midnight blue steel frame, with a star motif. This cafetière has a classic yet functional appearance. 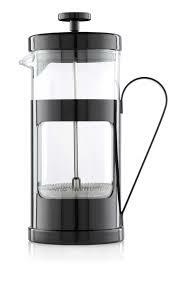 La Cafetière Monaco Black French Press shows off a geometric design of simple, crisp lines in the enamel-like frame. So you can show off the coffee as well as the Press. 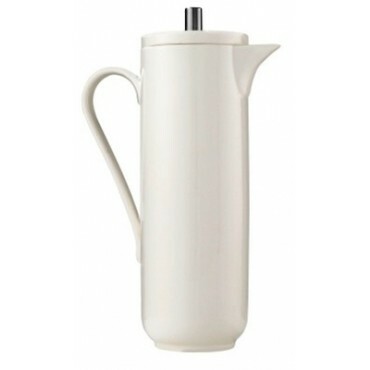 The modern white Le Teapot with a removable filter basket works for tea bags or loose tea. The Sencha Teapot is a heat-resistant glass teapot with a tea infuser integrated into the design which shows off the tea. The India Teapot holds 1.5 litres in its heat-resistant glass. The mesh infuser and the lid are made of stainless steel. Yet another example of form and function in harmony. 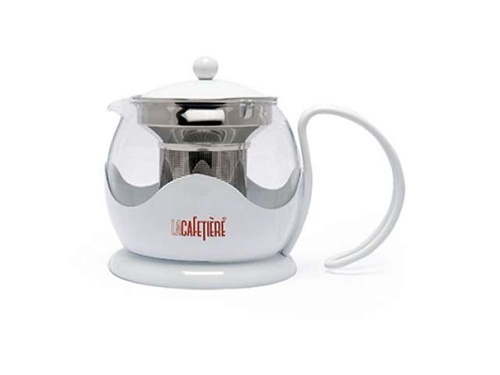 Bring genuine café culture into your home with any of La Cafetière’s quality products. We have so many styles, we can’t describe them all here, but you can find them on our La Cafetière page. Dilmah Tea epitomizes all that we admire and respect about premium tea. Dilmah Tea is 100% pure Ceylon single-origin tea grown on family-owned estates. Grown and packed at the source within 48 hours of picking, Dilmah tea is unblended, preserving the unique signature tastes that are the result of the unique micro-climates of each growing area. Merrill works with his sons Dilhan and Malik, whose names inspired the name Dilmah Tea. The company owns some of Ceylon’s best estates, state of the art printing and packaging facilities and tea packing services. Merrill J. Fernando’s grandchildren are today devoted to the family passion for quality tea, environmental sustainability and humanitarian projects. Their MJF Charitable Foundation was formed to handle the increasing number of projects being funded. The Dilmah Conservation organization grew out of the MJF Charitable Foundation to focus specifically on environmental sustainability and animal and agricultural sustainability. Dilmah Tea is one of the top 10 tea brands in the world, is sold in more than 100 countries and has been voted as the “Top Brand with a Conscience” by a US think tank. Dilmah teas were studied and found to have the highest number of antioxidants when compared to other specialty teas. Boutique t-Series teas are a collection of green, black and white teas imbued with jasmine, almond, rose and French vanilla. The tea bags in tins are triangularly shaped, which is intended to allow a better flow of water around the leaves, resulting in the most flavorful brew. Exceptional Series tea and herbal infusions, also come in the triangular bags. The Watte Series includes teas from specific primary areas where Ceylon tea is grown. Climate, soil, processing methods and seasons, all of which affect the characteristics of the tea. The 4 teas in the Watte Series are single region teas from specific altitudes, each producing its own specific flavor and aroma. Yata Watte is grown at sea level, which can make it rich and spicy. Uda Watte comes from a higher altitude, giving the brew a lush feel and taste. We like this tea so much that we will give you 20% off of all Dilmah Teas at www.EnjoyBetterTea.com*. *Discount valid from 10/6/2013 through 10/12/2013 on www.EnjoyBetterTea.com and www.EnjoyBetterCoffee.com for Dilmah teas only. Not valid for discounted, special sale or case sale Dilmah items. The Dilmah Tea Gastronomy Challenge took place in Sri Lanka in August. Dilmah created this challenge to help young chefs understand the potential and versatility of tea as a natural ingredient and as a complement to food. The winners used Dilmah Italian Almond Tea and Rose with French Vanilla Tea. The winning chefs infused salmon with the Almond and Rose tea and created sandwiches with French Vanilla tea-infused candied orange. Their entry also included a cocktail with the Almond Tea, peach concentrate, cinnamon, lime and cherry brandy. Thank you for shopping with us. We hope to serve you again soon. As always, Enjoy Better Tea!